If you’re moving to a new home or apartment, storing and packing away the contents of your kitchen might seem like a herculean task. 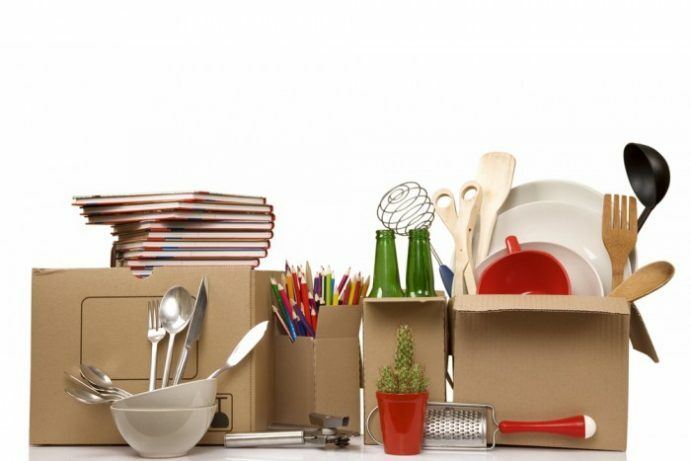 Moving a kitchen is not easy, packing in itself is a long and tiring process; as the kitchen is usually filled to the brim with cooking implements, utensils, appliances, and other bits and pieces, the effort needed for this task seems to be magnified tenfold. However, this doesn’t have to be the case. If you know how to common avoid storing mistakes and have great organizational skills, then packing up your kitchen will be a breeze. Here’s how to get started. The easiest way to lessen the amount of things that you need to pack is to simply throw out those that you don’t use anymore. Here’s a rule of thumb for throwing things away: if you haven’t used it in the past year (or six months, if you’re that aggressive), then discard it immediately. You can sell them (online or in a garage sale) or donate them to food banks, shelters, and charities. At the very least, you would need to have a few (three to five) large boxes for lightweight items like baking tins, small appliances, and dish racks, about eight to ten medium-sized boxes for heavier items like pots and pans, silverware, pantry items and cookbooks, and a few heavy duty boxes (preferably those with thick double walls) for fragile items like glassware, plates, and other ceramics. Don’t forget markers and sealing tape- you can buy these in bulk since you would need a lot of them while packing anyway. If you want to save up on boxes and packing materials, then you can just use your appliances’ original boxes to pack them away. However, if you’ve already thrown out the original packaging, then you must make do with (medium-sized) packing boxes. Just make sure to store parts that need to be assembled together (preferably with the owners’ manual included so that you can easily assemble them later), and double wrap fragile items with a layer of newspaper and bubble wrap. Don’t store china, ceramics, and other sorts of fragile glassware together. It’s much better to wrap them individually. First wrap a piece of bubble wrap around the item, then follow it up with another layer of paper. You can then secure it with tape. If you have pre-sectioned boxes, then these work great for glassware. But if you don’t have this option, make sure that you don’t stack glasses and ceramics on top of each other and use a very generous amount of padded cushioning in between the items and spaces inside the box. First sort your silverware according to type. After organizing them, keep these types together with a piece of string or rubber band. You can then stash them away in a shoe box or any other small container. Optionally, you can add a piece of padding inside to keep them from clanging together during the move.